For some time, PECO (our local electric company) has been subsidizing high-efficiency bulbs. The current special is the best I’ve seen. 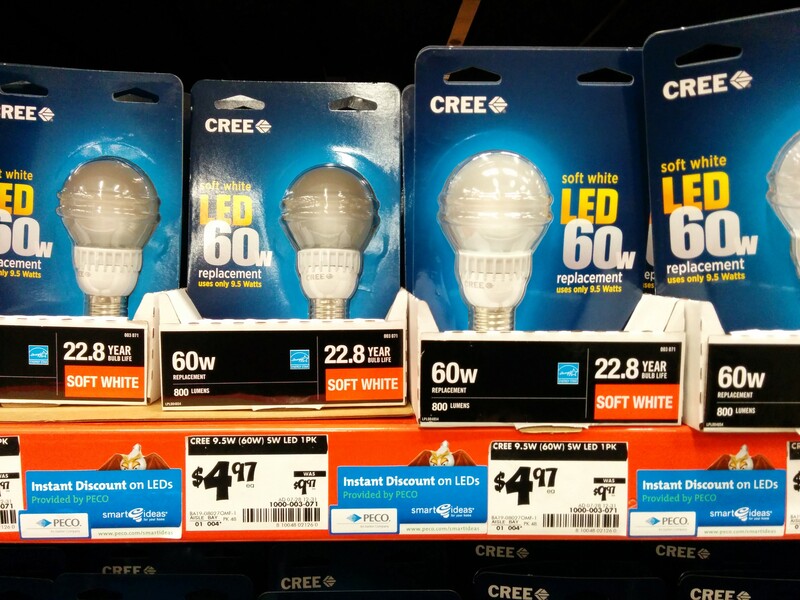 For about $5, you can now get industry leading CREE LED bulbs, as well as the highly rated Philips bulbs at your local Home Depot. If you’ve been considering trying LED bulbs but have found the price to be prohibitive, now’s the time to try a few. The energy savings can easily pay for the bulbs in under a year and they’re so long lasting that you’ll likely never have to change them.